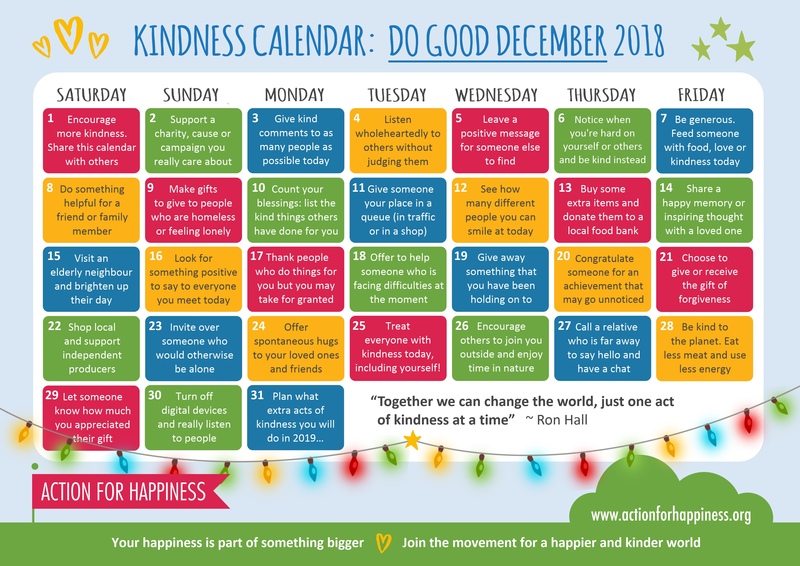 The Kindness Calendar (as opposed to the Action Calendars the other 11 months of the year) for the month is Do Good December! Is it overkill to add a few more exclamation points for sheer enthusiasm? Because it’s perfect. It dovetails perfectly with the season and with Light the World. A lot of the kindness events are very doable: Share the calendar (check! ), support a charity (check! ), give kind comments (check! ), and now “Listen wholeheartedly to others without judging them.” This might actually be hard for me. Judging others is my personal weakness (as long as those others are family members); I’m a work in progress. We all are. And that’s the point of life. By doing good, serving others, and being kind, we can be a little bit better, a little bit happier.